last Tip was about dragging links to the tabstrip. But sometimes instead of opening a link you want to search for some text. You might have already discovered that you can highlight text in a web page, right-click it, and get an option to search for that text with your default search engine. It turns out there's another way to do the same thing: once you have some text selected, just click and hold the selection and drag it onto the omnibox. When you let go, Google Chrome will search for the text you dropped using your default search engine. And just like with dragging links, you can drag in text from other programs too. Our last Tip was about dragging links to the tabstrip. But sometimes instead of opening a link you want to search for some text. 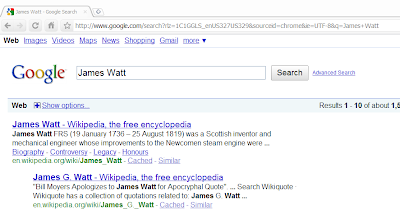 You might have already discovered that you can highlight text in a web page, right-click it, and get an option to search for that text with your default search engine.